To promote the friendly exchange of information and experience between model aviation modelers and to develop model aviation as a recognized sport and a worthwhile recreational activity. 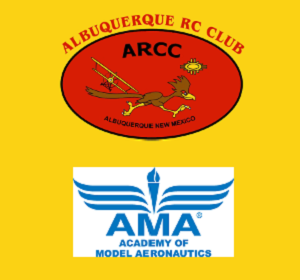 The purpose of the ARCC is to provide Albuquerque area modelers with a club that supports the hobby/sport of having fun with all types of aero-models. The club is meant to be a permanent, stable structure wherein members may fly at a safe flying site; relevant social interaction; pertinent and timely information; personal assistance and instruction; friendly competition; public recognition; and political clout. Our business is the efficient management of club resources; the maintenance of a framework for social interaction for the members, their families, and friends; the delivery of membership services; the enrichment of the members’ modeling experience; and the participation in appropriate community activities. We value modeling activities of all types, with particular emphasis on construction and safe operation of flying aircraft; diversity of modeling interests; individual competence and willingness to share; and an environment that encourages participation and fosters fair play and friendly competition. MEETINGS We hold meetings once a month. Meetings are held at the Asbury Methodist Church, beginning at 7:00 PM, on the first Thursday of each month. The Asbury Methodist Church is located at 10000 Candelaria NE which is just east of Eubank Blvd. Our meetings typically include a short business session, a presentation, and a display of models by the members. NEWSLETTER The "Glitch", our newsletter, is published quarterly, keeping members and others informed about club and model aviation activities. MEMBERSHIP REQUIREMENTS If you have an interest in modeling, whether control line, free flight, RC flying, or other modeling activities, then consider membership in the ARCC. Dues are $35.00 per year (prorated on a six month interval) for a Regular Member, $20.00 for Seniors, and $10.00 for a Junior Member. You must be an AMA member, adhere to AMA model aircraft regulations, the ARCC bylaws, and field safety rules.